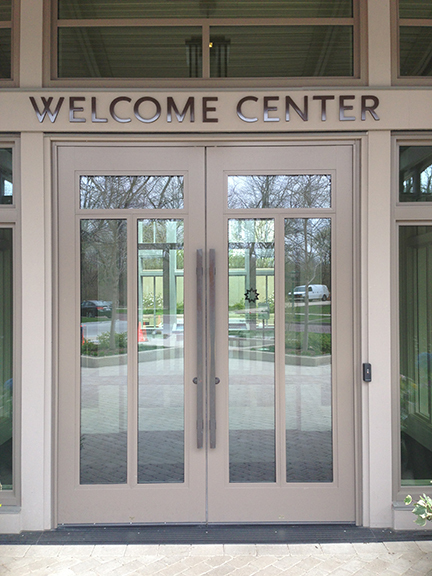 The Special-Lite AF-100 is a pultruded fibreglass door of exceptional strength and versatility. Completely sealed against weather, moisture, and corrosive environments, it never rusts. It is 25.4 mm (1-3/4 in.) thick, hermetically sealed, and immune to moisture and corrosive gasses or liquids. Construction includes 96 kg/m3 (6 lb/cft) closed-cell urethane core wrapped in four layers of glass fibre reinforcements and resin encapsulated to 3.2 mm (1/8 in.) at all door faces for great impact resistance. Stile edges are 14.3 mm (9/16 in.) thick of solid fibre-reinforced polymer (FRP) structural reinforcement, allowing for the maximum screw holding capability. The top rail is 152 mm (6 in.) deep with 6.35 mm (1/4 in.) wall thickness, providing ample reinforcement for closer attachments. 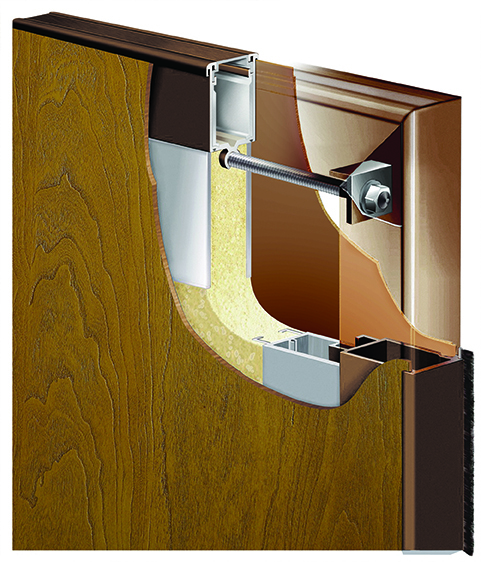 Standard mortise bottom rail allows for field trimming of the door. Optional flush bottom rail facilitates cleaning and sterilization. Standard widths are 812.8, 914.4, 1066.8, and 1219.2 mm (32, 36, 42, and 48 in.) wide. Custom widths up to 127 mm (5 in.) are available. Doors are up to 559 mm (22 in.) tall; hurricane and high-velocity hurricane zones (HVHZ) rated; available in 10 standard colours. 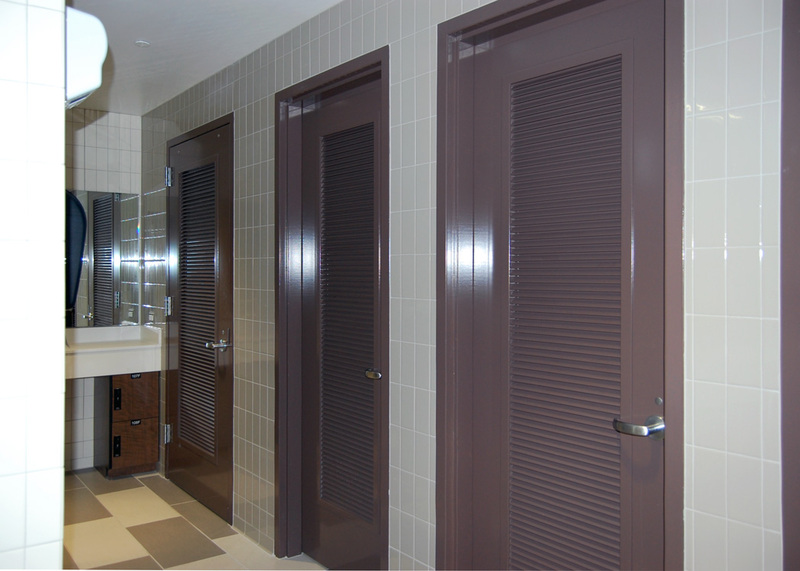 Fire door and ballistic-rated models are also available.